What Is the Average Time to Run a Marathon? In 2012, 487,000 runners finished a U.S. marathon, according to Running USA's annual marathon report. Some runners completed the 26.2-mile race in a little over two hours. Others took more than seven hours. Marathon courses differ significantly in terrain, elevation and weather conditions, and the time required to complete each course varies. The average marathoner, however, will take almost twice as long as an elite runner to finish a race. The nonprofit organization RunTri used the times of 230,251 finishers in 25 races to determine that in the 2011-2012 marathon season the average time for any person, regardless of gender or age, was 4 hours, 24 minutes and 0 seconds. Certain races are notoriously harder than others or may attract less speedy runners. The races that showed the slowest average times among the 25 evaluated were the City of Los Angeles Marathon (5:15:13) and the Disney World Marathon (5:08:14). In 2012, the Bay State Marathon (3:53:44) had the lowest average time. The average finish time for Boston Marathon runners in 2012 was 4:18:27. Marathoning attracts more men than women. In 2012, 58 percent of marathon finishers were men. The median finish time for a man was 4:17:43. Among women runners, the median finishing time was 4:42:53. Not surprisingly, the average time it takes to run a marathon increases as you get older. For example, the average for males between 30 and 34 years of age is 4:00:11, while the average for those 50 to 54 years old is 4:23:0. As of the date of publication, the fastest time ever for a marathon is 2:03:38, recorded by Patrick Makau of Kenya in the 2011 Berlin Marathon. The 2:15:25 of Britain's Paula Radcliffe in the 2003 London Marathon is the fastest time recorded for a woman. Most of the fastest marathon runners hail from Ethiopia, Kenya and Eritrea, places where running is a way of life. As the sport has become more popular among mainstream runners, charity runners and run-walkers, participation has increased, and so have finishing times. 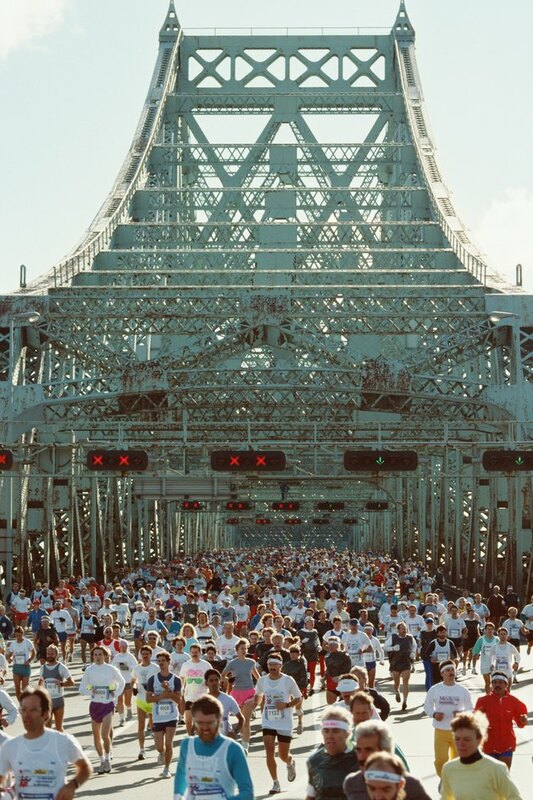 In 1980, the median marathon time was right around 3:30 for men and 4:00:00 for women. In 1980, however, only 143,000 Americans participated in marathons -- more than 300,000 fewer the number that actually finished in 2012. BBC News Magazine: Could a Marathon Ever Be Run in Under Two Hours?